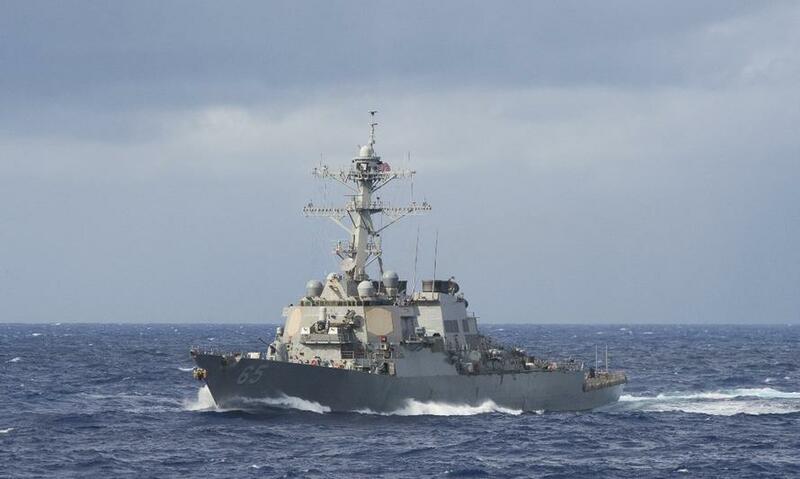 In Washington's latest attempt to provoke Beijing, the United States is planning to send warships through the Taiwan Strait according to Reuters, a mission meant to ensure "free passage" through the strategic waterway and which will further heighten political tensions with China. 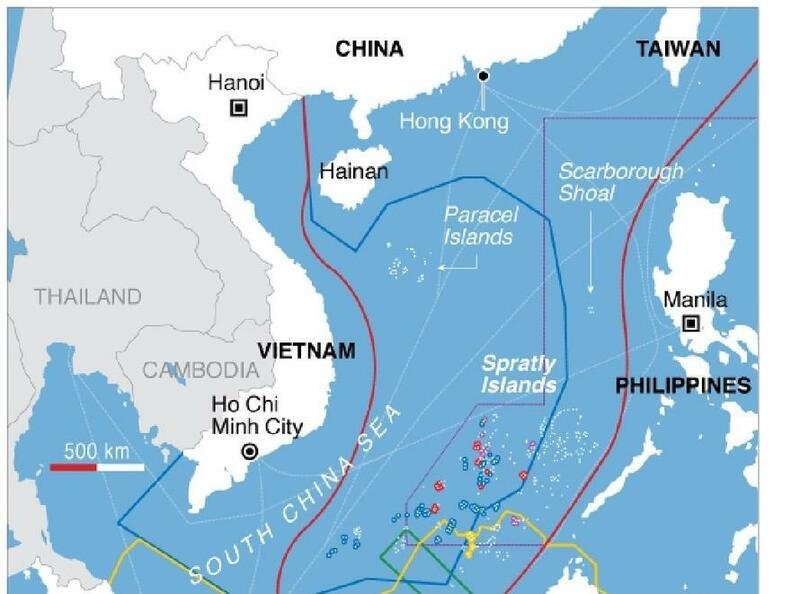 Reuters sources did not discuss the potential timing for any fresh passage through the strait. The last time the US conducted a similar crossing under the "free passage" umbrella, China responded angrily over what it saw was the latest US incursion in its geopolitical sphere of influence and a fresh mission would only exacerbate the state of affairs between the two superpowers; meanwhile any repeat would be seen in self-ruled Taiwan as a fresh expression of support by President Donald Trump’s government. China, which views Taiwan as a wayward province, has been ramping up pressure to assert its sovereignty over the island and it raised concerns over U.S. policy toward Taiwan in talks this week with U.S. Defense Secretary Jim Mattis in Singapore. Ironically, even as Washington mulls ordering a fresh passage through the strait in a show of support for Taiwan and defiance of China's growing sphere of influence, it has been trying to explain to Beijing that its policies toward Taiwan are unchanged. Mattis delivered that message to China’s Defense Minister Wei Fenghe personally on Thursday, on the sidelines of an Asian security forum. "Minister Wei raised Taiwan and concerns about our policy. The Secretary reassured Minister Wei that we haven’t changed our Taiwan policy, our one China policy. So it was, I think, a familiar exchange" said Randall Schriver, U.S. assistant secretary of defense who helps guide Pentagon policy in Asia. While Washington has no formal ties with Taiwan, it is bound by law to help it defend itself and is the island’s main source of arms, a topic near and dear to president Trump's heart: Washington has sold Taiwan more than $15 billion in weaponry since 2010. Sparring over Taiwan has been just one of a growing number of flashpoints in the U.S.-China relationship, which also include a bitter trade war, U.S. sanctions and China’s increasingly assertive military posture in the South China Sea. In response to Chinese concerns about US interference in the region, Mattis told Wei on Thursday that the world’s two largest economies needed to deepen high-level military ties so as to navigate tension and rein in the risk of inadvertent conflict. Meanwhile, some U.S. officials told Reuters that the US has not been aggressive enough when it comes to Taiwan, and say U.S. warship passages in the Taiwan Strait are still too infrequent, noting that a U.S. aircraft carrier hasn’t transited the Taiwan Strait since 2007, during the administration of George W. Bush. Last year, two U.S. warships, both destroyers, sailed through the Taiwan Strait in July; it was the first such operation in about a year. Predictably, Beijing - which has never renounced the use of force to bring Taiwan under its control - responded to the July passage with a warning to the United States to avoid jeopardizing “peace and stability” in the strategic waterway. China has also viewed U.S. overtures toward Taiwan "with alarm", including the unveiling a new de facto embassy in Taiwan and passage of the Taiwan Travel Act, which encourages U.S. officials to visit the island. Meanwhile, in more delightful news for US weapons producers and exporters, Taiwan’s President Tsai Ing-wen said last week the island will increase its defense budget every year to ensure it can defend its sovereignty, including resuming domestic development of advanced training aircraft and submarines. Not that any of that will help it defend against the world's largest army. Separately, on Saturday several thousand pro-independence demonstrators rallied in Taiwan’s capital on Saturday to protest against Beijing’s “bullying” and called for a referendum on whether the self-ruled island should formally declare independence from China. Whatever Taiwan's fate, the upcoming deliberate US provocation over what China views as its key national interest will only serve to further deteriorate relations between the two nations which are already engaged in both currency and trade war, a relationship in which some have been asking what will be the "accidental" catalyst that escalates the ongoing war between the two superpowers into its "kinetic" phase.